drug-taking Sect of the Mystic Dragon, through the frozen north-east to Fort Albazin to Moscow and the boudoir of Princess Sophia; before finally returning to the birthplace of the protagonist, Yangzhou. Kangxi himself, the Dowagers Empress and a host of pretty girls of various origins. developed sense of friendship, loyalty and honour. His ambivalent, and touching, relationship with the emperor Kangxi is one of the recurring themes of The Deer and the Cauldron. Louis Cha (Jin Yong) was, until his recent retirement, founder and publisher of the Ming Pao Daily News, Hong Kong, Shin Ming Daily News, Singapore, and related publications. 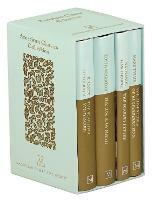 He is best known, however, as a writer and is the most widely read novelist in Chinese communities all over the world. His Martial Arts novels, originally written for newspaper serialization, have been adapted for TV, film, audio, strip cartoon, computer games, and restaurant menus. 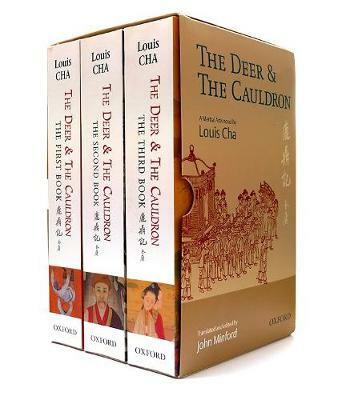 The Deer and the Cauldron is Louis Cha's last Martial Arts novel, and this English translation is authorized by him. John Minford has translated several works of Chinese fiction and poetry into English including, with David Hawkes, the Penguin edition of the eighteenth-century classic novel, The Story of the Stone.